Matthew Finley’s series of coming out as a gay man is both painful and filled with hope. As Finley remembers his youth and the realization of his sexuality, life in a Christian household told him that he was was not ok. 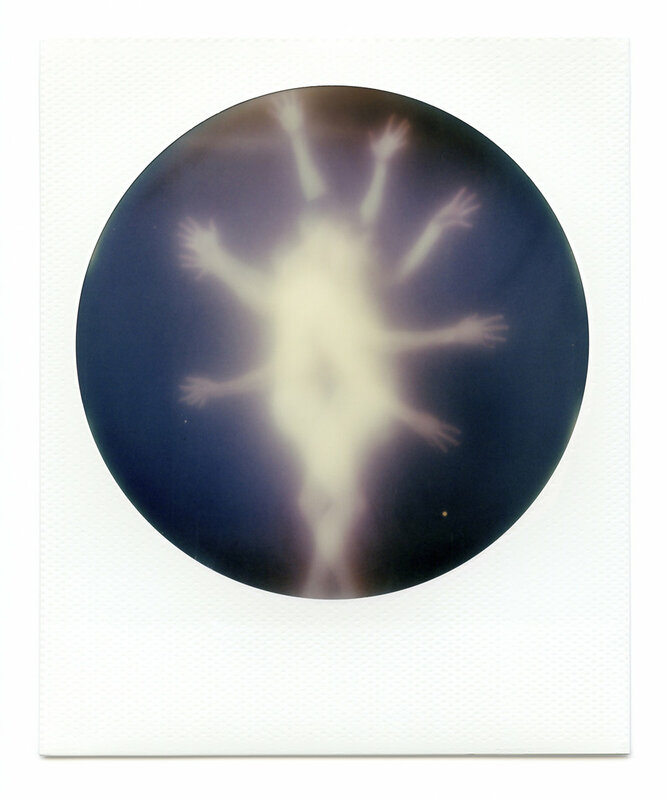 The journey to love, marriage, and self-acceptance is made visual through his work in Polaroid’s. Throughout the work is a tenderness and vulnerability that belies the gentle person that has found a life unexpected. 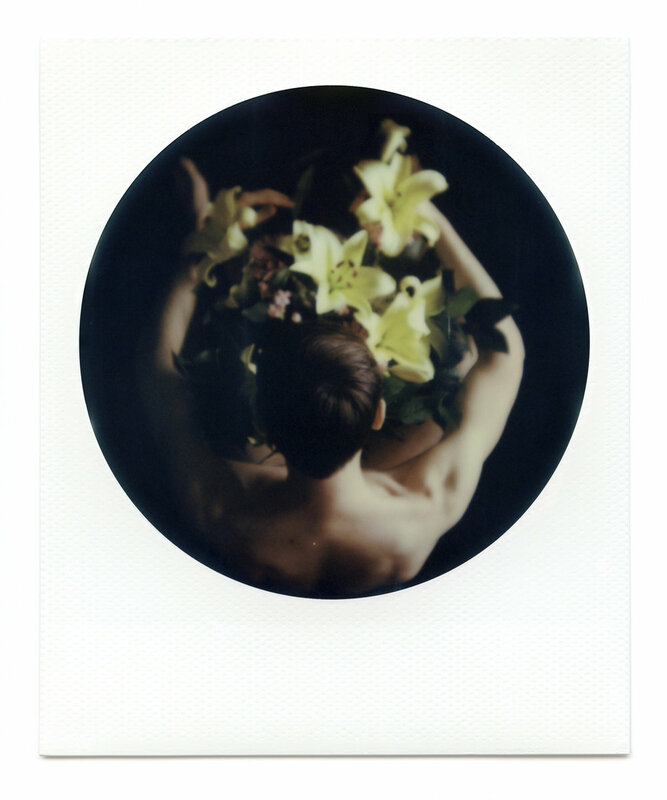 Shot on round frame Impossible 600 Instant film with the I-1 Camera. This series is a look back at my journey from pain to acceptance. Through the unreliable lens of memory, I am revisiting an emotional period of shame, fear, and rejection, and later, love, desire, and home. These memories, conjured up time and time again over the years, fuzz and change, often leaving only impressions of a moment, an apparition. It’s these bygone feelings, these ghosts, that I’m trying to capture and in doing so, set them free. Instant film was prevalent at the time of my earliest remembrances. I can still glimpse my mother fanning a Polaroid photo of me on the steps of our mountain town church, waiting for it to develop. The circle, or looking glass, is a way through which I can see my past selves. There is also a completion to this circle, an acceptance of what was, and an understanding that those selves made me who I am today. HG: The images in this series are very dreamy and speak of many aspects of the journey of self-acceptance. I am particularly interested in the image, Speak. Can you tell me more about this image? MF: Speak is about having the courage to speak out about my sexuality and come out to those who cared about me. I have always been a shy person who desperately seeks to connect with others, but has a challenging time doing it. Finding the strength and the words to express my truest self was a huge moment for me. There is often a lot of anxiety around such a moment, but this idea of just closing your eyes and jumping is one that I can see repeated over and over throughout my life. The entire series is about reflecting on those memories and feelings that made up my late childhood and early adulthood¬—the moments of struggle, uncertainty, and discovery. Yet, the perspective is from the different place that I am in now. That image, for example, was taken when my husband and I were on a trip to Colorado. I picked wildflowers from the garden where we were staying and, ever my willing subject, he stood in for “me.” In my youth, I had no idea where coming out would lead. Today, I can create a photo about it as a married man: something I didn’t think would be possible. It’s crazy how things can change given the time and effort. HG: Life is amazing that way, things that we never thought possible end up happening. Are there other images in the series that show other experiences that you thought wouldn’t be possible but then happened? MF: Love is an image of me kissing my husband, and it’s pretty straightforward, but looking back at what I thought possible for my life, and where I’ve ended up, the piece represents the realization that my hopes have not only been met, but exceeded. Growing up, I simply yearned to be in love and to be loved. To now be in a healthy relationship for almost ten years, with ever-broadening opportunities and possibilities, is something I didn’t think possible. Knowing so few gay people back then and even fewer in long-term relationships, I didn’t know it was possible to be where I am today. At that time I also thought acting was my true calling. It was going to be my way to bare my soul and connect with others, but as with any art, it was a challenging road. I got a lot out of it, but after years of expecting my shyness and anxieties around performing to subside, I made the difficult choice to give it up. Eleven years ago, I decided to see if photography could facilitate my expressive desires and just taking that one step from in front of to behind the camera has lifted my anxieties considerably. As a young person, I thought acting was the only way to share such personal parts of myself, but photography gives me a similar opportunity. I don’t have a specific image about my desire to connect through acting, but the personal, storytelling quality to my images are a direct link to those years. HG: One thing we don’t talk a great deal about in our society is shame. Shamed by others creates a sense of being wrong or damaged in some way. For many gay people, shame is a deep emotion to be rooted out and left behind. How did you manage to do this for yourself? Is there an image that captures this process? MF: Being raised in a Christian household I knew very early on, even before I realized I was gay, that my family, the church, and society at large believed that being gay was wrong and shameful. As a kid, I tried to be the best person I could be, the best Christian I could be, yet when my sexuality surfaced in my teens, my head became filled with contradictions and shame. How could I, a good person, a good Christian, be gay? The two couldn’t coexist. I pulled away from my family and the church, and in high school, I started experiencing severe stomach pains. It wasn’t until I met my first out gay people and had my first physical gay experience at 19 that I came away realizing “Yes, I can be gay AND a good person.” And I felt like a weight had lifted off my shoulders. My family, the church, and society at large were wrong, and I felt that to the bottom of my toes. Even though stress and anxiety were present in the years ahead, I never felt the depth of shame I did before I had that realization. There are elements of shame in a number of the images, Lost, Pray, Defective, Denial, and perhaps Repress is the most shame-filled. With that image, I wanted to express the feelings of being so ashamed, so in pain and tied in knots that you are putting out the message “Stay Away,” and even lashing out at others, when under that, all you want is to be loved and accepted for who you truly are. HG: How do you relate to Christianity now? How does your family relate to you? I recently met a young pastor that is gay and a drag queen he talked about how he had to leave his church to find one that supported him as he is and that he found joy in that church. I know that there are progressive, accepting Christian churches out there and I think that is wonderful. I’m so glad that there are places that people can go and feel fully accepted. But for me, those voices of condemnation and bigotry that echo from certain politicians and “religious leaders” still sours the whole idea of organized religion. I come from a small family and only have close relationships with my younger brothers and my mother. My image, Mother is about her and how I saw her growing up as something holy, set apart and somewhat opaque. She is still quite involved with her church, and while it has been a long, slow road since coming out to her twenty-five years ago, she has come a long way in accepting me as gay. She came to my wedding, and we have family meals where she seems to care about my husband genuinely. That is a far cry from where we started! We may not agree on everything, but I know she genuinely loves us both and I’ll take that. My little brothers were quite young when I came out, so they have always known, and they’re of a generation that is more exposed to gay representation, issues, and out-and-proud people. They have never seemed to have an issue with it and have been supportive.